Branch Meeting, 21 February, 2015. Killed In Action, 21 February, 1915. Laurence Byrne was born C1877 in the St. Thomas Parish of Dublin to Laurence and Mary Byrne. He joined the East Yorkshire Regiment at the Curragh in late October 1895, signing on for seven years with a further five in the reserve, in October 1907, he signed for a further four years in the reserve, seemingly, still with the East Yorks. However, when this period ran out, he then signed for four years with the 5 Royal Dublin Fusiliers, which appears to have been a depot/training unit. By this time Laurence was married to Margaret (nee Connelly, at the Pro Cathedral on 13 July, 1898,) and they had four children under the age of seven, (a fifth child was born in early 1913). 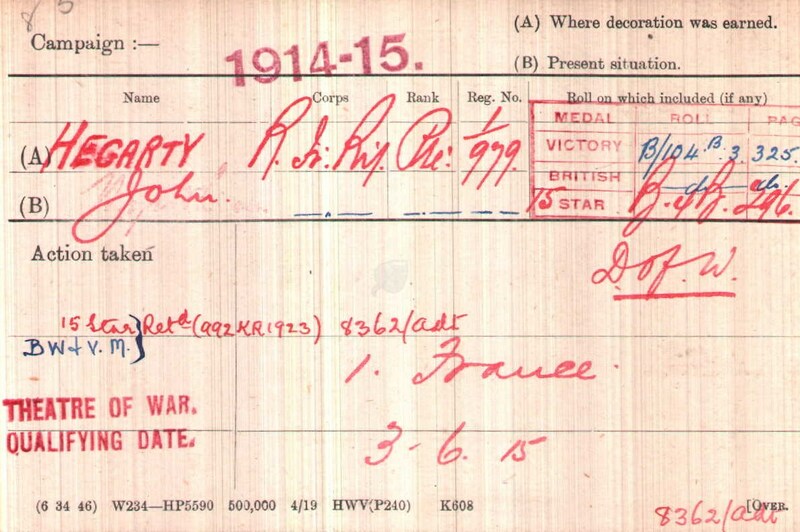 At the outbreak of war, Laurence was presumably called up from the reserve and at some stage was transferred to the 2 Battalion, which had been part of the BEF on the continent since 22 August, 1914; his Medal Index Card (MIC) tells us that Laurence arrived there on 4 December, 1914. We don’t know when Laurence actually joined up with the battalion. The Battalion War Diary does not contain replacement figures for December, however, the Brigade Diary reports that two drafts of replacements were sent to the battalion in December, 40 men on the 9th and a further 75 on the 23rd. it is likely therefore, that he joined up with the battalion on one of these dates. The whole of this time (Dec, Jan & Feb), was spent in the Belgium/France border area around St. Yves, La Creche and a position called Point 63. During this time they were in and out of the front line, either relieving or being relieved by the 1 Battalion Royal Warwickshire Regiment, as was the case on the 17th when they came out of the line and moved to La Creche, where they stayed until 21st. The diary entry for 21 February reads: ‘Relieved R. WAR. R. in evening. Trenches in very good condition after 4 fine days. Heavy sniping during evening. The appendix to the months report tells that on 21 February, Lance Corporal 8646 Nolan and Private 9502 Collins were wounded in action, while Private 7738 Byrne was killed in action. Laurence was buried in Prowse Point Military Cemetery, about 6 miles south of Ypres. 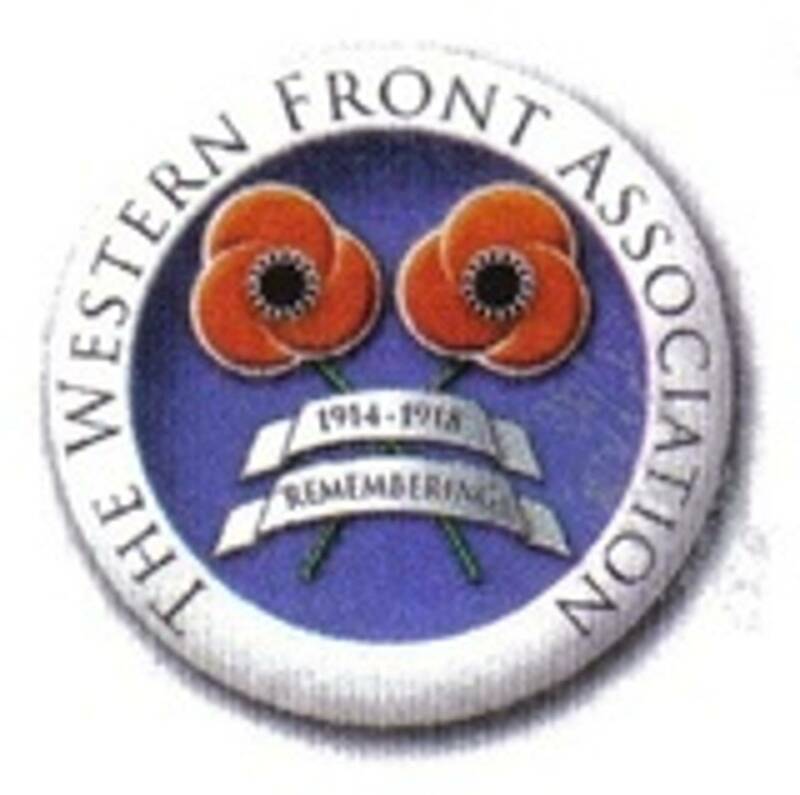 He was entitled to the 1914/15 Star and the British War & Victory Medals. 1. The CWGC ‘Debt of Honour’ incorrectly shows Laurence’s first name as Lance. 2. Prowse Point Military Cemetery contains the graves of 46 men of the 2 Royal Dublin Fusiliers and 26 men of the 1 Royal Warwickshire Regiment for the period 20.11.14 to 21.03.15.